Carol went above and beyond in developing my website. She was patient and really listened to my needs. She was detailed and responsive to get my website not only looking great, but also making it practical for creating leads. I highly recommend Carol. She is a true professional that will work hard for you and make your website exactly how you want it. Carol Gann at Orlando Web Wizard did a fantastic job with our company web site www.saintfrancisorganics.com. Carol and her team were able to build the web site just like we had hoped. When we started making changes to the site she worked with us. I found her to be very friendly and professional. I would definitely recommend Orlando Web Wizard to others. I highly recommend Winter Park Artists for your web site and hosting needs. I am very pleased with the wonderful work that they have done creating my company website and they are providing me with very good webhosting service. I have had the pleasure of working with Carol and her team for the past three years and I have had the opportunity to observe their professional skills as well as, interpersonal style. They are consistently pleasant, and take on all assignments with enthusiasm and dedication regardless of deadlines or other pressures, they always deliver. Give Winter Park Artists a try, you will not regret it!! Thank you so much for the outstanding job you did creating the website for my company, On The Mark Consulting, Inc. The website, www.stayonthemark.com , is both extremely functional and very easy to navigate. The ideas you provided for development were extremely valuable, and I really appreciate the time you spend to set up my e-mail through the site. You are one of the only techie-type people I know that speak in a language I can actually understand! You are obviously an expert where it comes to web development using WordPress and I strongly recommend you to everyone who is looking for professional web development at a very affordable price. Please feel free to connect me with anyone who wants a more detailed testimony about you and your services. I’m a raving fan! President, Central Florida Christian Chamber of Commerce, On The Mark Consulting, Inc.
We have been using Carol Gann for many years to not just host our website but to design it, too. We have found her to be very easy to work with because she brings a wealth of her knowledge and expertise to the table and is willing to use those skills creatively and logically to get the most out of our website. She stays abreast of current trends (and possible cyber threats) and is always right there with a preventative measure or warning. 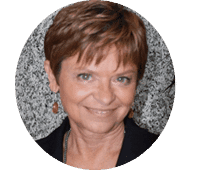 As a smalls business owner, we are as aware as everyone these days that your business’s web presence is of utmost importance in attracting new business, and Carol has helped us do just that. We wouldn’t hesitate to recommend Carol and her business to anyone who wants personal, expert service and design. Carol Gann is a Godsend! I was so frustrated with my last web designer because changes took too long and I couldn’t make them myself. Carol showed me how to easily make changes in WordPress. I’m thrilled!!! I recommend Carol Gann at Orlando Web Wizard because of her extensive, expert knowledge and deep desire to serve her clients. Recently Carol introduced me to the huge benefits of using WordPress for my business website. Being a former graphic designer, I previously resisted wanting control over all the design aspects, but being frustrated that I didn’t know code to make fine-tuned adjustments. That changed when Carol set me up with a WordPress Divi theme including plugins to control all my virtual needs. With Divi’s easy to use drag and drop features, I gained the control I wanted without having to know code. And when I wanted some special features, no problem, Carol could work her magic adjusting the code for me. She is a genius when it comes to knowing all about WordPress, plugins, and coding! While developing a website can be a simple thing, developing one that is secure, easy to use and safe from external attacks is quite a daunting task. Carol used her ingenuity and excellent knowledge of wordpress to develop a website that is both versatile and easy to manage. She comes highly recommended. 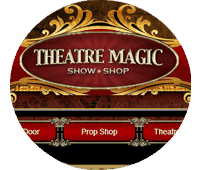 We at Theatre Magic highly recommend and honestly suggest you consider the excellent service of Carol Gann of Orlando Web Wizard. Carol worked with us on one of our online projects and gave us her complete attention. She understood fully where the details were required. She helped us with developing and constructing our online business model. She was very informative on various options and helping us to choose the best direction. Our previous web developer was well paid and created a WordPress site that was difficult to manage. Our old site utilized custom code outside of WordPress. Such coding made management of the site difficult and costly. Carol narrowed the scope of the site entirely within WordPress and created screen shot tutorials that allowed us to self-manage the site and keep our costs down. Her on-site training was clear, professional, and thorough. This enabled our staff to speed up on how to keep the site running efficiently. Thanks again Carol Gann an the staff at Orlando Web Wizard for excellent work.